There’s an unstoppable force underway in the transportation market, and I’m not talking about mass adoption of Segways (sorry, Bill Gates). 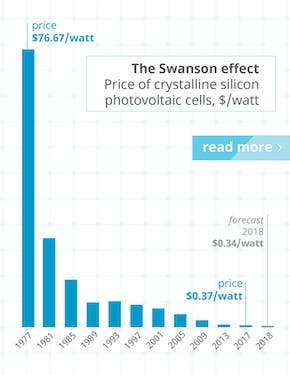 No, it’s about the technology that has come to dominate CleanTechnica coverage — electric transport. Electric cars, electric buses, and electric trucks are simply better than their gasoline predecessors. 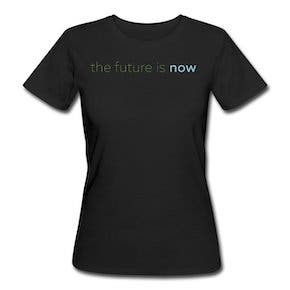 They offer a more exhilarating drive, a smoother ride, more convenience, cleaner air, a livable climate, less maintenance, lower operating costs, and a clear conscience, among other things. 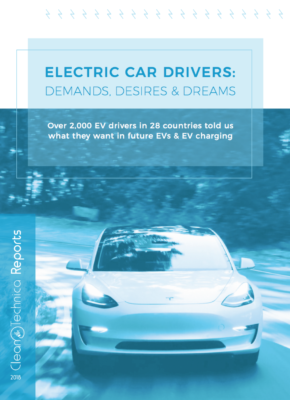 The new electric car models hitting the market right now and in the coming year are a huge leap ahead of models that have been on the market for the past several years, but even without these new models, 1 million pure electric vehicles are now on roads worldwide! 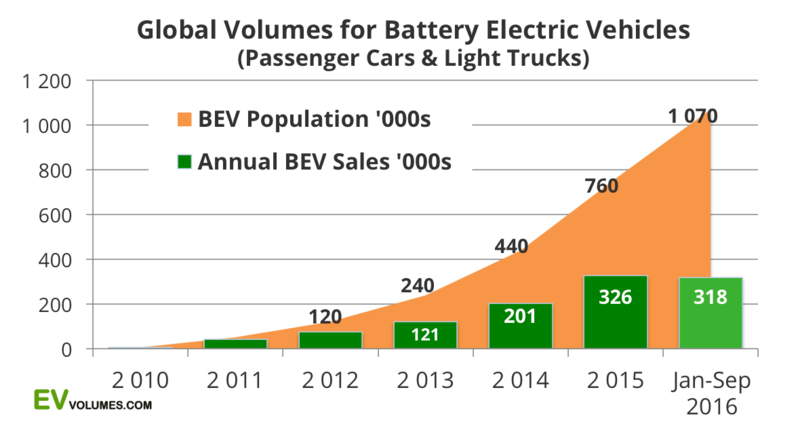 That’s according to new data from our good friends and partners at EV Volumes. September EV sales grew 55% globally compared to September 2015, reaching 75,500 sales — the second-best month in history, only trailing the record set in December 2015 (which was related to expiring EV subsidies). For the calendar year through September, sales were up 53%, reaching nearly 518,000 sales. China has been dominating global sales, with 225,000 of those 518,000 sales. China’s 2016 sales were up 117% compared to January–September 2015. Q3 electric car sales were up 62% in the US and 24% in Europe. 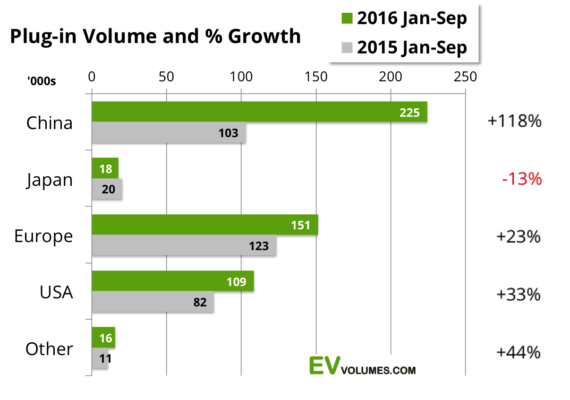 The Tesla Model S was the best-selling plug-in car in the world in Q3 and January–September 2016 as a whole. Tesla was the top-selling brand in September, with 13,000 deliveries. 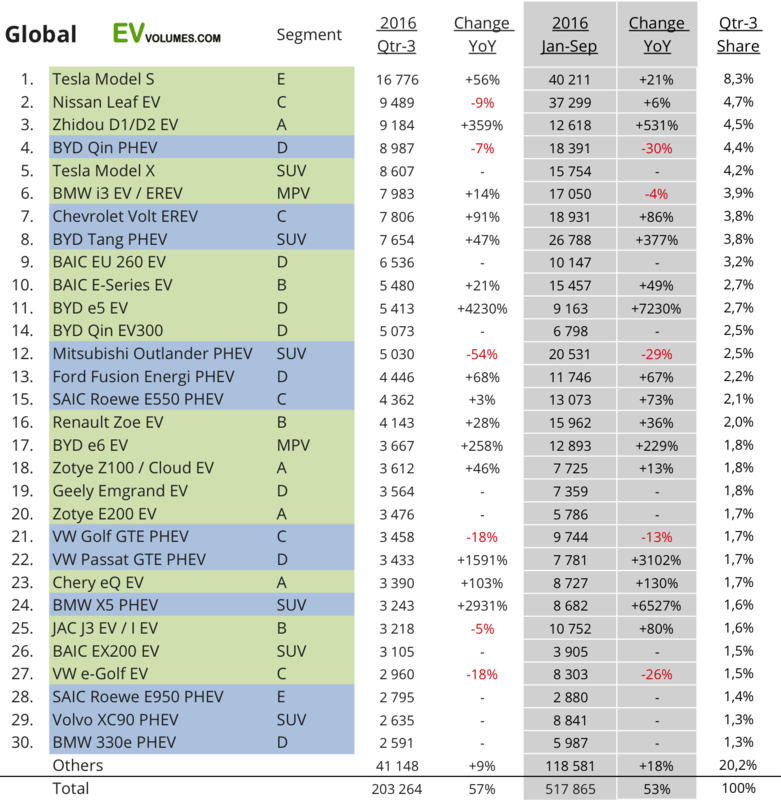 However, that ranking includes plug-in hybrids. 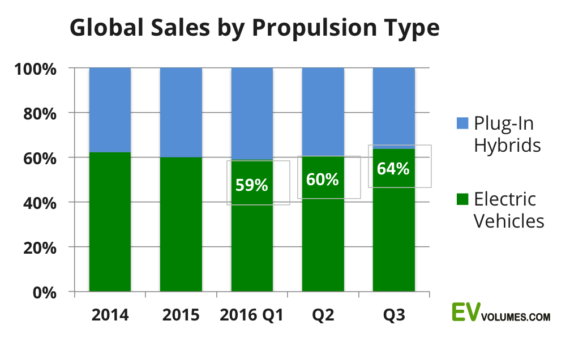 Tesla dominates fully electric car sales, with 17.6% of sales. For more details and thoughts on global EV sales, I encourage you to check out the full EV Volumes update.